Amir Moussaoui, the Iranian diplomat positioned in Algeria who has been called back hastily, was victim of his dubious activities. His role as a go-between in the delivery of weapons by the Lebanese Hezbollah movement to the Polisario separatist Front is not the least of such activities. Without naming Amir Moussaoui, Moroccan Foreign Minister, Nasser Bourita, had announced, early May, that Morocco had decided to sever relations with Iran because of the “confirmed collusion” between Tehran’s ally, Hezbollah, and the Polisario, and its military support to the Algeria-backed separatist front. And Amir Moussaoui was actually the critical link between Hezbollah and the Polisario. Already finger-pointed for his Shiite proselytism in Algeria, the controversial Iranian diplomat had to deny, last May, rumors of his expulsion from Algiers. 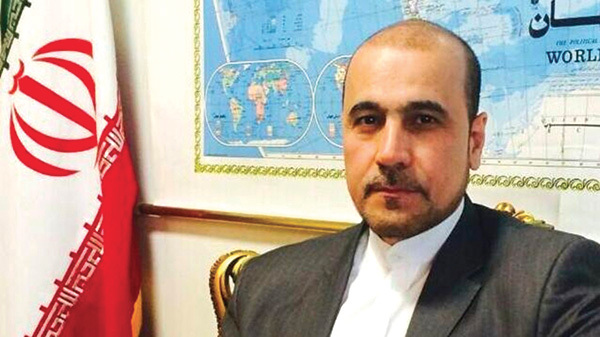 Rumors however amplified after Adda Fellahi, a former communications officer of the Algerian Ministry of Religious Affairs, asked the insidious Iranian diplomat to leave Algeria, accusing him of carrying out activities that had little connection with his official status. This disgraceful departure of the Iranian diplomat from Algeria confirms Morocco’s accusations against Iran for the suspicious links maintained by Tehran with the Polisario through Hezbollah. It also reveals Iran’s subversive operations and attempts to destabilize not only countries in the Middle East but also in North Africa.